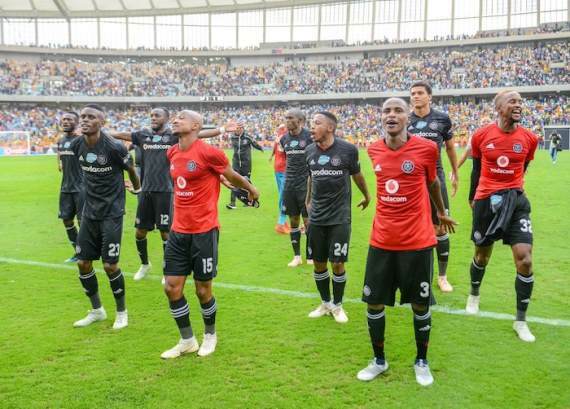 Telkom are delighted that Orlando Pirates have reached the final of the Telkom Knockout in 2018/19 with Baroka being the other side remaining in the competition. The Sea Robbers are set to face Bakgaga at the Nelson Mandela Bay Stadium in Port Elizabeth on Saturday with the TKO crown at stake. Bucs beat Kaizer Chiefs in the semi-finals while Baroka defeated last season's champions Bidvest Wits in the second semi. In 2017 the Clever Boys edged Bloemfontein Celtic 1-0 in a game marked by poor attendance at the Prince Magogo Stadium in Durban. Nonetheless, with Pirates in this weekend's clash as one of South Africa's biggest teams - it appears a big turnout is expected in PE. Telkom head of sponsorship Bram Wessels said: "Yes, I'm happy we've got a big team and I've done this competition for 12 years now. "I think it is the third year where we basically got this type of final, and it was for us the correct draw because now at least we are going to have one of the big teams in the final. "There were a lot of people saying, 'How could we draw Chiefs and Pirates in the semis?' But it's a perfect draw. We are also glad we took the final to PE. We must spread the games and PE is going to work well. "I think this knockout is really proving to have gone well. We had a lot of stuff behind the scenes and it worked out very well for us. "We also took a few risks. You can remember two weeks ago we were in Durban with two big teams to play the semi-finals here, but it was a very good attendance. This is definitely one of the best TKOs in the past 12 years."